The main opposition Republican People's Party (CHP) on Thursday referred one of its deputies to the disciplinary committee for making controversial remarks about the adhan, the Muslim call to prayer. Öztürk Yılmaz, a CHP deputy from eastern Turkey's Ardahan, recently defended the Turkish version of the adhan, which is delivered in Arabic. 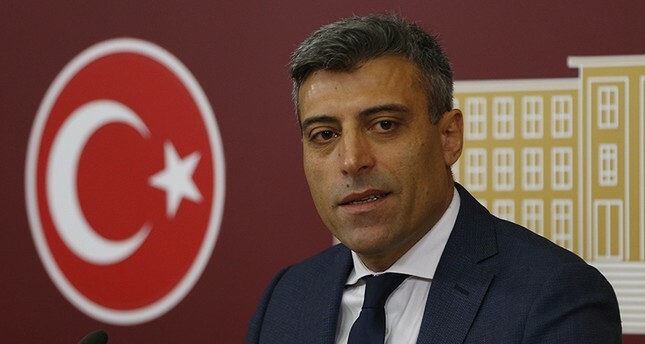 The party, however, said that Yılmaz's words do not represent the CHP's views and it was completely against an idea that contradicts people's common values. Yılmaz had previously told a TV program that the prayer should be recited in Turkish and he wanted "my language to be spoken everywhere." The debate on whether the adhan should be recited in Turkish or Arabic dominated local politics between 1932 and 1950 when the CHP's single-party rule forced mosques to recite it in Turkish. In reaction to the CHP's decision, Yılmaz said it was unlawful for the party to treat him that way, claiming his opinion was only personal. "This disciplinary proceeding is wrong and unlawful. He (Kemal Kılıçdaroğlu) is censoring his own parliamentarians; within his own party – this cannot be the CHP's policy. There can be no such policy of remaining in power within the party while losing all the elections," Öztürk told a press conference, blaming incumbent party Chairman Kılıçdaroğlu for his situation. Yılmaz said this disciplinary proceeding was being held because the party chairman does not want any rivals. This is a wrong policy ahead of the upcoming elections just as it was wrong in the previous elections. His recent comments would only fuel the ongoing unrest within the CHP. He has repeatedly blamed Kılıçdaroğlu of not being able to run the party and stated that he was preparing to run for the party chairmanship. "That's why they are trying to block me," Yılmaz said, adding that he would not resign no matter what. CHP Deputy Chairman Yıldırım Kaya responded to Yılmaz's claims, saying: "The adhan in Arabic represents our religion and is one of the values of this country – just like our belief, our flag and our values that came with the proclamation of the republic. Reopening this debate today as a member of CHP should not be perceived as the general opinion of the party. The CHP is against this comment that contradicts our values." This is not the first time Yilmaz has gone against the party and Kılıçdaroğlu in particular. Yılmaz has criticized the party's failure in elections several times. He even complained about the lack of democracy within the party and called upon party officials to take responsibility for the poor results after the presidential and parliamentary elections on June 24. The CHP received only 22.6 percent of the votes in June 24 elections, much lower than the previous elections. The party also fell behind its presidential candidate Muharrem Ince, who got about 30 percent of the votes. Yılmaz was not the only one to blame some of the party members and Kılıçdaroğlu for the outcome. After the election, the dissidents on July 16 launched a petition, calling for an extraordinary convention to overhaul the party leadership. However, the dissidents could not convince enough delegates to sign the petition. With the latest elections, the CHP has suffered nine straight election defeats under Kılıçdaroğlu, who took the party helm in 2011.